One of my favorite things about this blog is being able to use this platform to spread the word about great charitable causes. Back in early February, you may remember I had the opportunity to shoot with some amazing other influencers and the QVC & HSN team to raise awareness about their Beauty With Benefits campaign! In a nutshell, when you shop this event for cosmetics and other products, each donated by top brands, 80% of your purchase price benefits Cancer and Careers, a national organization that empowers and educates people with cancer to thrive in their workplace, by providing expert advice, interactive tools and educational events. When I was working as a Child Life Specialist, I worked with some of the oncology patients and having a service like Cancer and Careers is so important for helping kids/teens maintain the most normal day-to-day schedule possible. 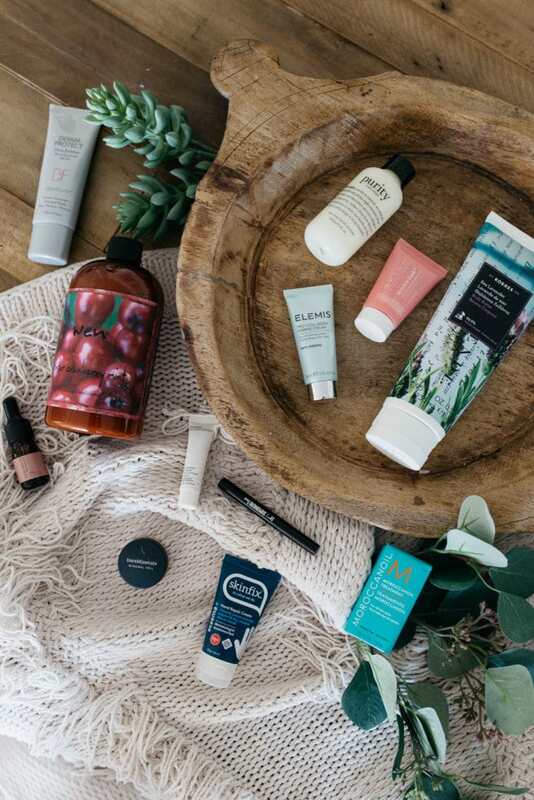 In addition to knowing what you are purchasing is giving back in a big way, you also get an AMAZING gift with purchase (a $208 minimum value, sharing a sneak peek below) and shipping on each item on the lineup is just $2! For the complimentary bags, just note that it is one per customer, with no minimum purchase while supplies last, BUT you can buy something at QVC and then go buy something at HSN and can score TWO bags…a little trick to get double the goodies! 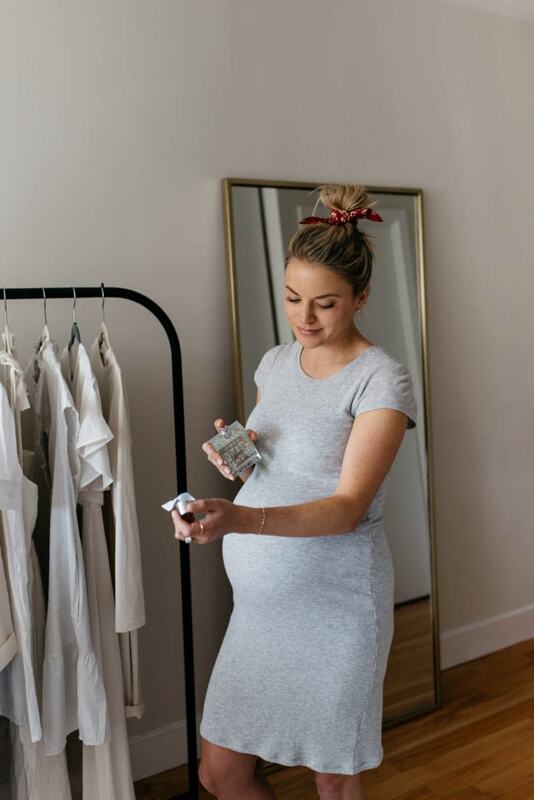 I am always looking to restock my favorite beauty and skincare products, as well as trying out new items, so this is the perfect opportunity to do both! For those interested, below is a little information about what I picked up. As always, let me know if you have any questions! 1. 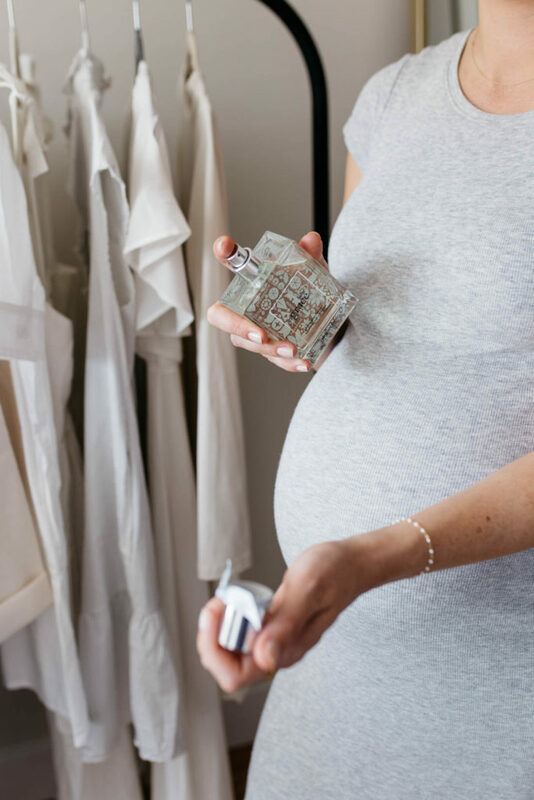 Philosophy Baby Grace 3 Piece Set – Okay, so admittedly I have had a bad case of pregnancy brain and cannot for the life of me figure out what I did with the lotion that comes in this set, but you get all three items for under $85! 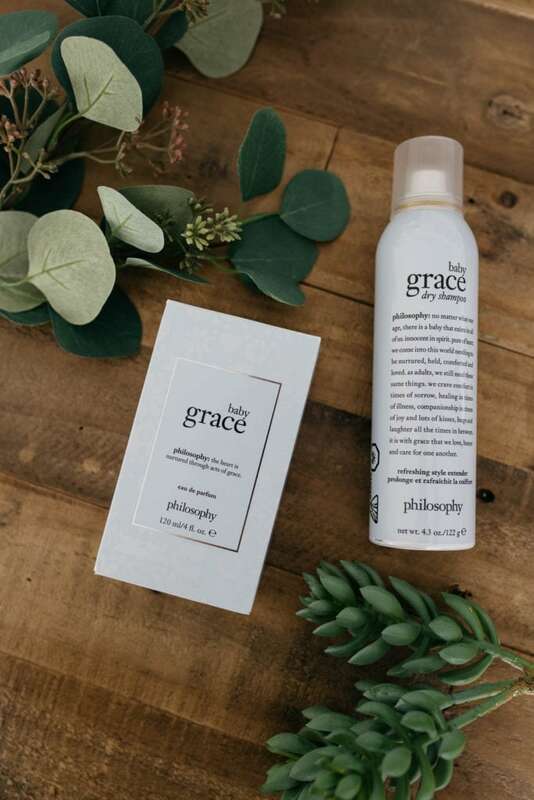 I have been a huge fan of Philosophy for years now (“Saving Grace” is one of my favorite scents) and I was thrilled to try out “Baby Grace.” Such a fresh and clean scent, perfect for every day wear. Their dry shampoo is one of my absolute favorites (included here) and gives my hair life…so much volume and the trick for my loose curls lasting a few days! 3. 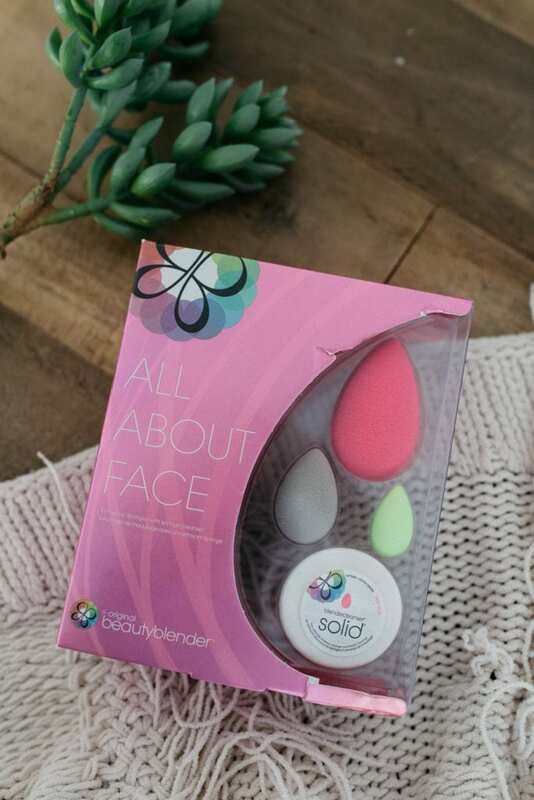 Beauty Blender 3 Piece Blender with Cleanser Set – Might be the most excited about this set as I use my Beauty Blender and Cleanser every single day and always like to have back ups on hand! The original size Beauty Blender typically goes for $20 and you get this 3 piece set plus cleanser for only $30! 4. 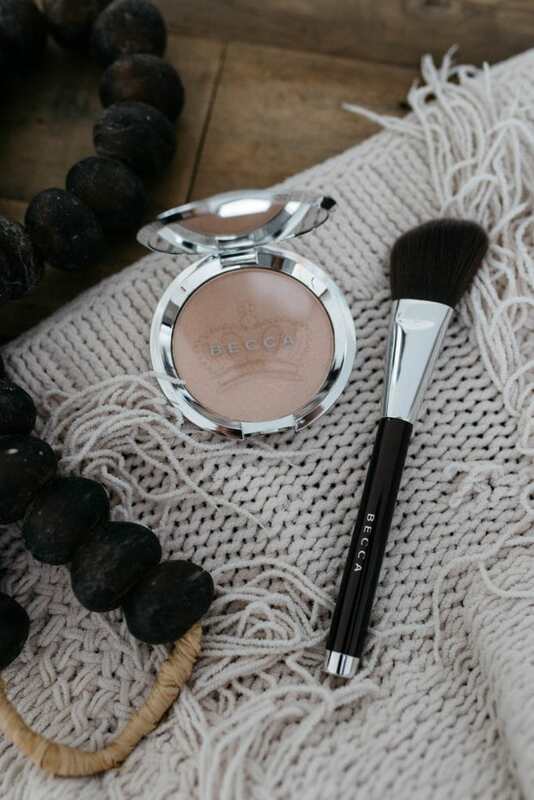 BECCA Shimmering Skin Perfector – This pressed powder and brush set adds the perfect amount of glow for a slight sun-kissed look. I lightly apply to my cheekbones, brown bones and bridge of my nose. 5. 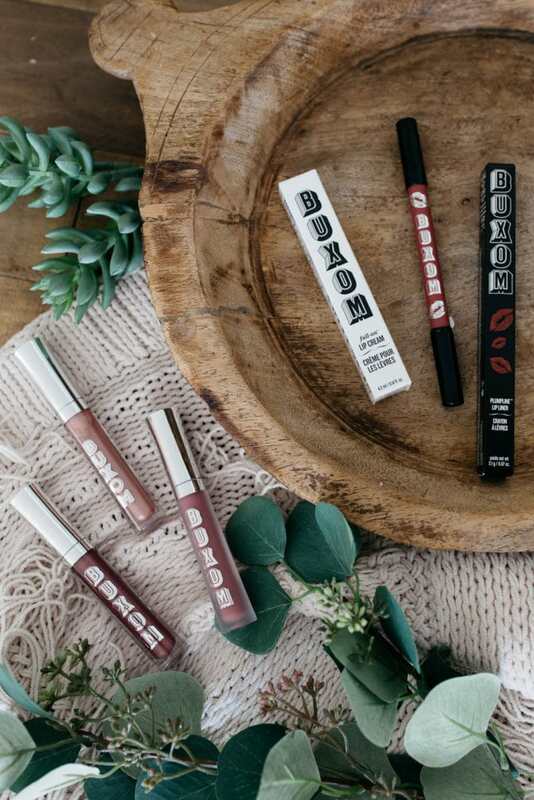 IT Cosmetics Perfect Lighting Neutral w/ Mini Hello Lashes – The perfect combo to grab and go and toss in your bag! The magic wand adds brightness, hydration and luminosity! There is no right or wrong way to apply, just add a little bit wherever you want for an extra glow. 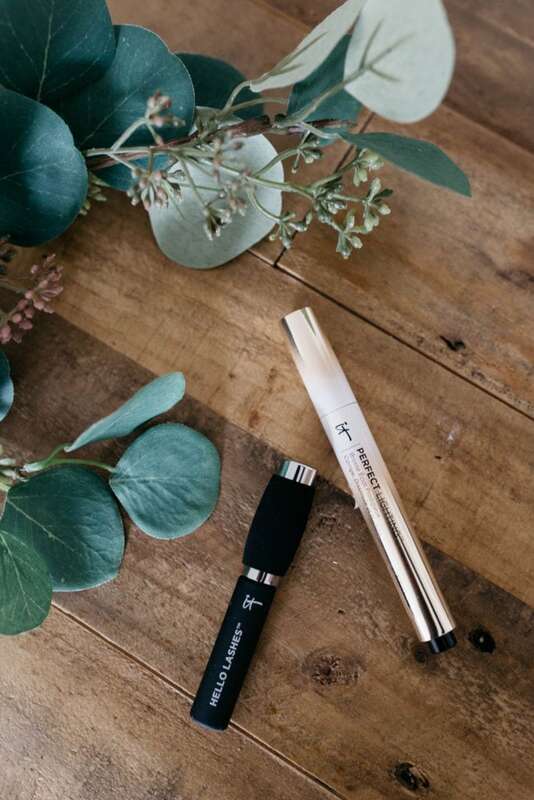 The mini mascara is perfect for a quick touch-up throughout the day and the smaller size makes it easy to carry anywhere or even stick in your pocket! What’s in the gift with purchase bag?!…. Each gift with purchase bag comes with a total of 12 items, 9 that I will chat about below and then 3 surprises to keep things fun and interesting! Philosophy 3oz Purity – One step facial cleanser. I love the fact that this one is travel size…perfect to toss in your gym bag or pack for a flight! WEN 16oz Cleansing Conditioner – The best part of this product is that it is FULL SIZE! I have the cranberry mint and it smells amazing. MoroccanOil 15ml Treatment Oil – Perfect for gearing up for summer heat and an easy way to keep your hair protected and healthy. Korress 7.95oz Sea Lavender Body Butter – Another full size product and the scent of this one is something you will want to use daily! It has been helping me combat the remainder of my dry winter skin. SKINN Fruit Fusion Mask – A 2-in-1 multitasking facial mask and scrub! Elemis Marine Cream .5oz – A face cream that firms, smoothes and hydrates! I love keeping this one in my day to day tote in case my face starts to feel dry. A little bit goes a long way. bareMinerals Mineral Vail Finishing Powder – Game changer for locking in your makeup all day long! This is the last product I apply in the morning during my beauty routine. SkinFix – I received their hand cream and you guys will get one of their products in your bag too! Perricone – 1 of 3 of their most popular products will be making its way inside your gift with purchase bag!